Create e-commerce experiences with rich media content, prepare and time manage captivating campaign pages and make your working procedures more efficient across all sites. In short – one CMS, endless opportunities. With Bizzkit CMS you get a wide range of state-of-the-art features and countless opportunities to customise the system to precisely match your needs. Bizzkit CMS also uses the Open Source framework Bootstrap which we have built on top of to allow the CMS to adjust to your online ambitions. As a result, you can concentrate fully on preparing the perfect content. Combine inspiration universes with shopping experiences by intelligent use of both text, pictures, video and products. 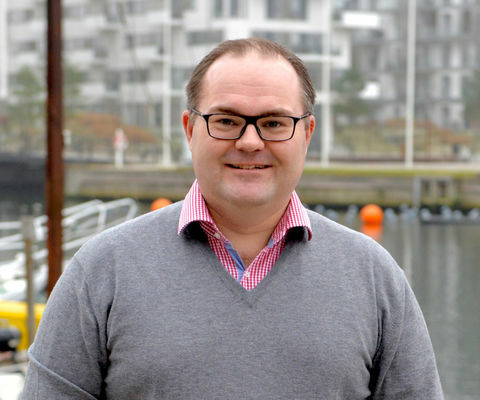 Let your webshop become a leading element in the customers’ journey and give them an experience which makes them come back again and again. Use the integrated tools in Bizzkit CMS for efficient cooperation, faster implementations and larger brand consistency and obtain better results in a shorter period of time. Across markets, languages, channels and units. Bizzkit CMS is a part of the Bizzkit e-commerce platform. Bizzkit CMS has been built to be able to integrate closely with your product data to allow you to not only create visually impressive pages but also to create unique customer experiences that inspire and convert to shopping. You know the challenges. More pages, in more markets, on several languages and on more devices. With Bizzkit CMS you get one entry for all sites – meaning efficient working procedures and synergy in your messages and visual presentation. 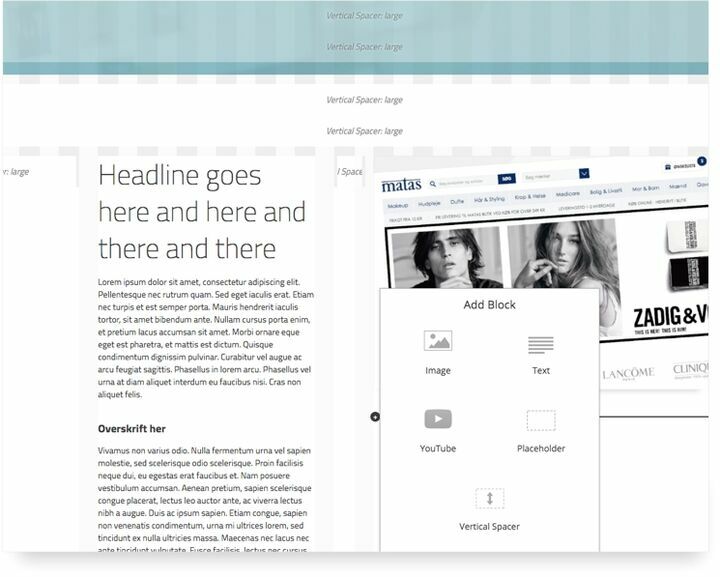 Bizzkit CMS is fully responsive so you only need to prepare a content page once. One page – inspiring content on both desktop, tablet, mobile and in-store screens. Bizzkit CMS has integrated functions that make it possible for you to synchronize your marketing plan with the content across your website to allow you to execute faster and more precise to the customers. ’What you see is what you get’. With Bizzkit CMS you do not have to guess how the final content will present itself to your customers. 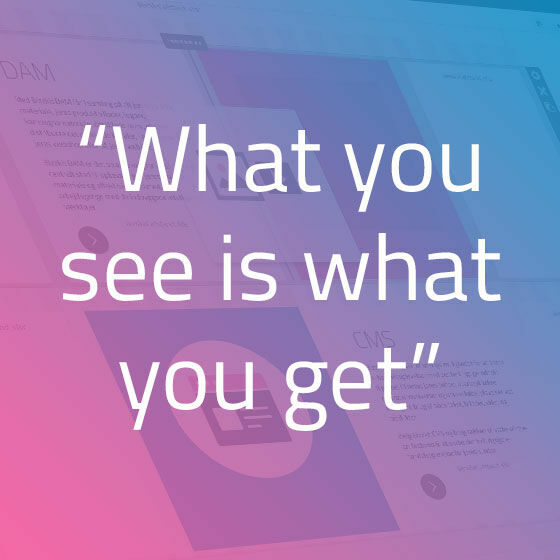 The CMS is based on an intuitive and flexible 'what you see is what you get’ editor (WYSIWYG) allowing the creation of the pages to completely imitate how the page will look when you publish it. In addition, in the page designer you can see how the individual page is presented in one screen size. One click and the page is displayed as it is presented on the tablet, click again and the design changes into what it will look like on the mobile. In short; save time and get a total overview of all pages on all devices – in one and the same workflow. Tired of having to count to find the right column or keep clicking on the mouse to move content up or down? Fortunately, this ends with Bizzkit CMS where you can easily build your content by dragging and dropping content blocks anywhere on the page. Many systems lock the users in a permanent feature set and style sheets. We break with this in Bizzkit CMS. Our text editor, colour templates, column styling and even content blocks can be adjusted to match your other marketing palette perfectly. In Bizzkit CMS you are not tied to a number of permanent page templates. On the contrary, you are creatively free to build all the pages and layouts you need. The CMS also contains the possibility of making the page layouts which you use again and again into permanent templates to always ensure the optimal working procedure.